Faithfully, many of our neighbors hop in their cars and gather at Meals on Wheels of Lancaster to pick up freshly prepared, quality and nutritious food for home delivery. Between volunteering in the kitchen, driving deliveries, and visiting with meal recipients there are 9 staff members and over 400 volunteers ensuring the food security of approximately 1,000 individuals every year. 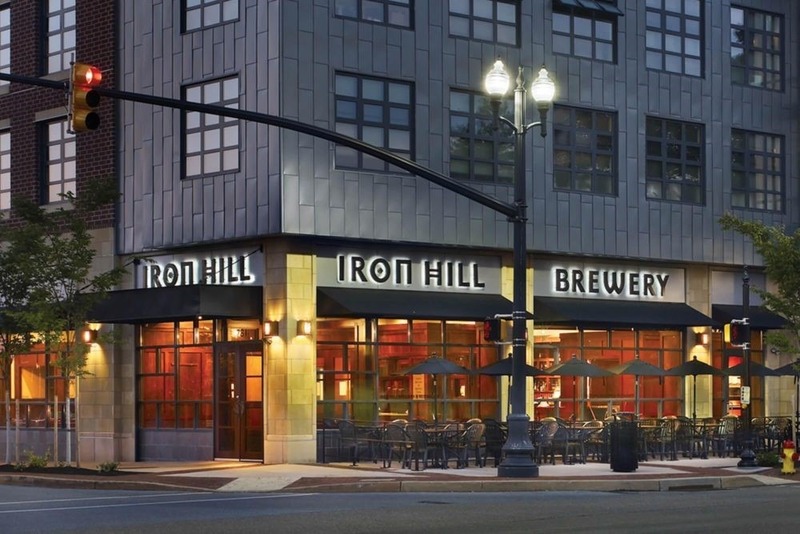 This labor of love and community extends beyond food delivery. The center of the mission of Meals on Wheels of Lancaster is to provide freshly prepared meals at a reasonable cost to anyone in our specified geographic area who cannot reasonably provide meals for themselves. That is the beginning of the relationship. 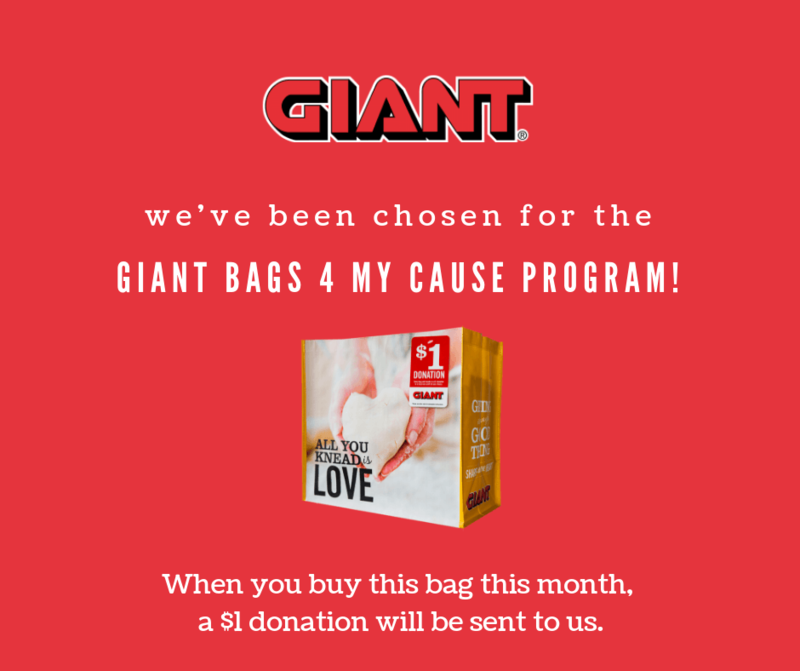 We are fortunate to live in a community that wants to give more. As a result, we have begun to find other ways to help our homebound clients maintain their independence through other supportive volunteer opportunities such as seasonal cleaning, social call visits, and light home maintenance support. These projects bring us into relationship with local faith communities and individuals who cannot volunteer during daytime. Visiting the homes of our clients is an honor. It is also an opportunity and we recognize the power of a safety check. Delivering regularly, we are able to identify changes in safety and wellbeing for our clients and their families. Having on-hand staff ready to receive information from our experienced volunteers we can alert emergency contacts in case of any immediate concerns when we arrive. We are grateful for your interest, support, and participation. Hope to see you around soon! While you Shop for Your Meals, Easily Support Meals on Wheels! Meals on Wheels originated in London, England during World War II when the British Red Cross Society began serving meals to the elderly who had been bombed out of their homes during the blitz. In the second half of the century, the grassroots movement to provide meals to people who could not provide them for themselves spread across the world. 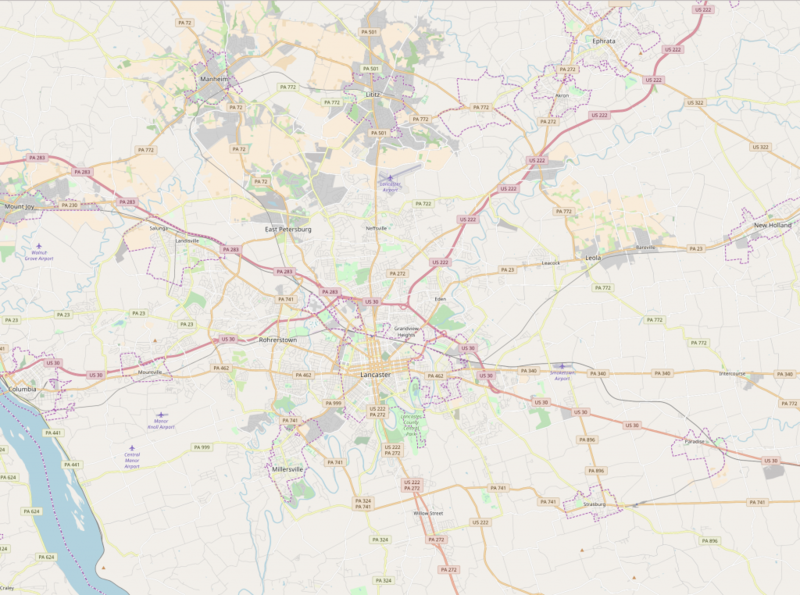 The first meal delivery program in the United States began in Philadelphia, Pennsylvania in 1954, spearheaded by Peg Toy, a social worker in Philadelphia's Lighthouse Community Center. Today, there are hundreds of Meals on Wheels programs in every region of the country. 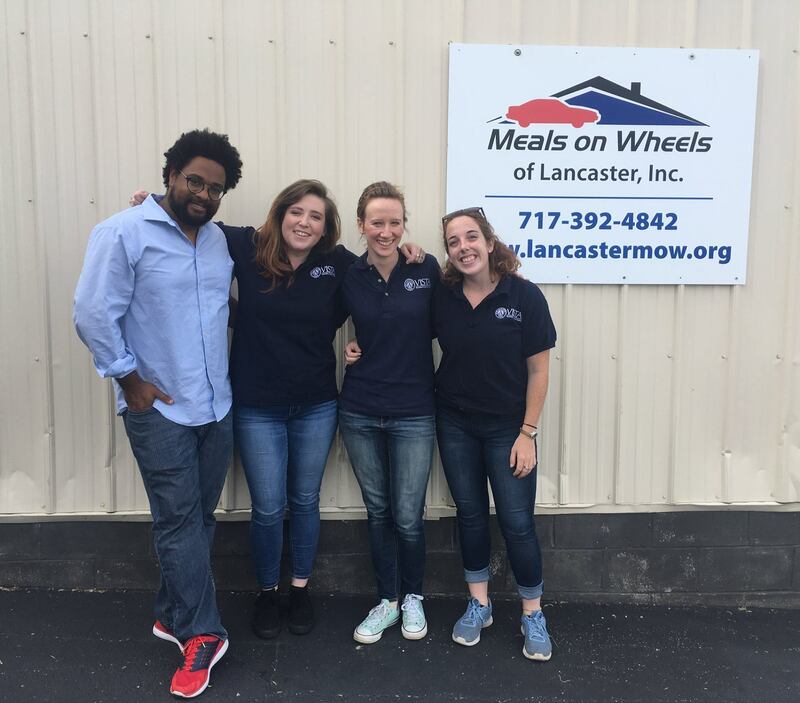 In April 24, 1967 the first wheels began to roll for Lancaster Meals on Wheels. 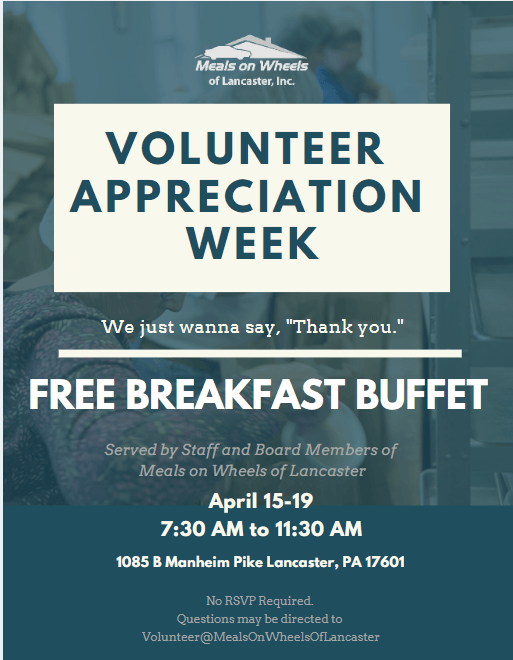 A non-profit organization, Meals on Wheels, Inc., was initiated in Lancaster by the Pilot Club of Lancaster with the assistance of Community Council, Lutheran Social Services, Business and Professional Women's Club and Emmanuel Lutheran Church. Today, Meals on Wheels delivers one hot meal and one cold meal, Monday through Friday, to persons who cannot cook for themselves because of age, illness, disability, or any other temporary or permanent limitations. How Did You Hear About MOW? ©2019 Lancaster Meals on Wheels All rights reserved.